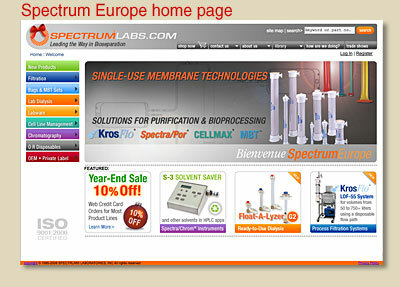 Complete design and creative direction for SpectrumLabs.com which included 9 versions: the default international site, a custom version for Europe and translated versions for Japan, China, France, Germany, the Netherlands, India and Korea. 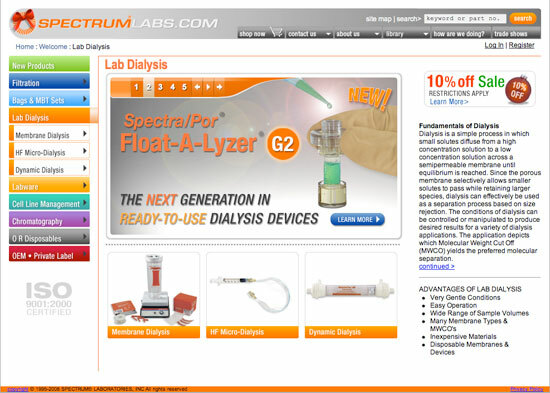 A 100% new site went live on April 2, 2007. It had a completely redesigned interface which I created and executive produced. 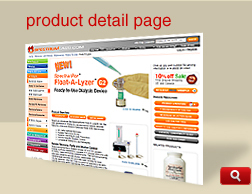 The site had 10 product categories, 2800 pages and featured over 4000 products. 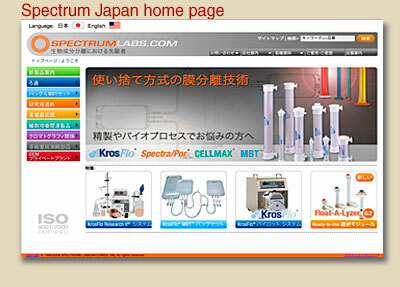 I oversaw the launches of Spectrum Japan in July 2008, Spectrum France in November 2011, Spectrum China in March 2012, Spectrum Germany in June of 2013, Spectrum Netherlands in the summer of 2014, Spectrum India in the Spring of 2016 and Spectrum Korea in the Spring of 2017. This expansion was responsible for more than quadrupling of the company's world-wide Internet presence and a 50-fold increase in web sales since 2002. I oversaw all upgrades to the sites, continuously adding new features and improvements. While the site was constantly updated and improved, we were in development of a completely new site due to launch in fall of 2017 when the company was purchased by another bioprocessing company. The original Spectrum site, which I also designed and produced, launched on February 24, 2003 with over 700 pages and 2500 products. 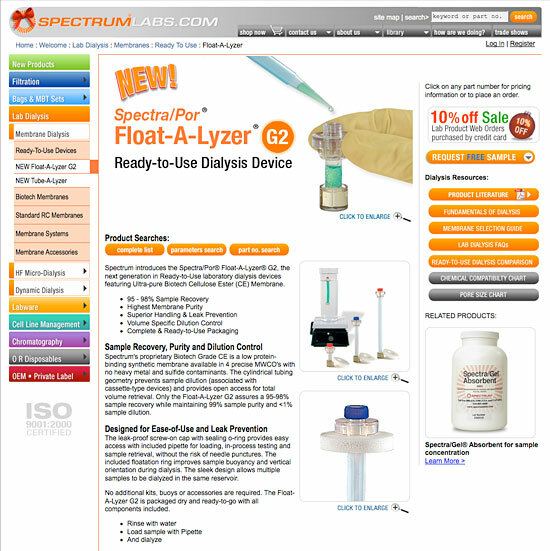 The site was expanded and updated in March 2004 adding new product features. 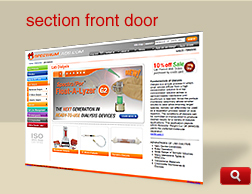 The Flash promotion box on the front door was completely redesigned.